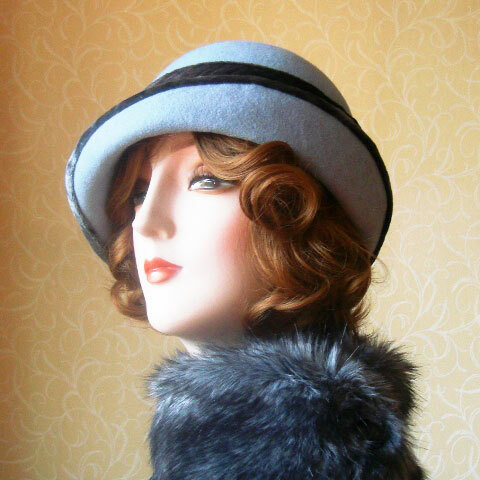 A very Downton Abbey cloche in pale grey blue felt hat with a sweeping upturned brim. Edged and trimmed with luscious silk mix velvet, which appears to change colour depending on the light. 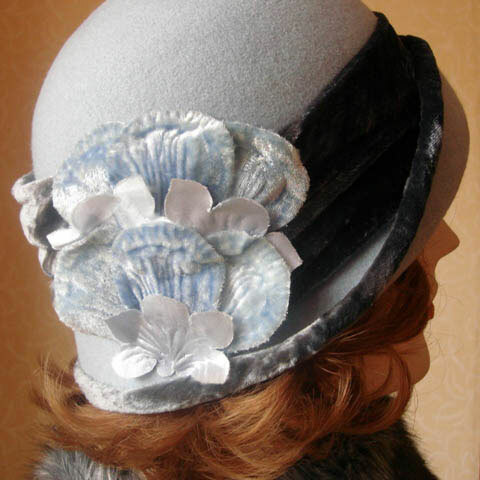 The embellishment is made from vinatge petals made into a pad. Medium size, i.e. 22 ½, but please email to check. 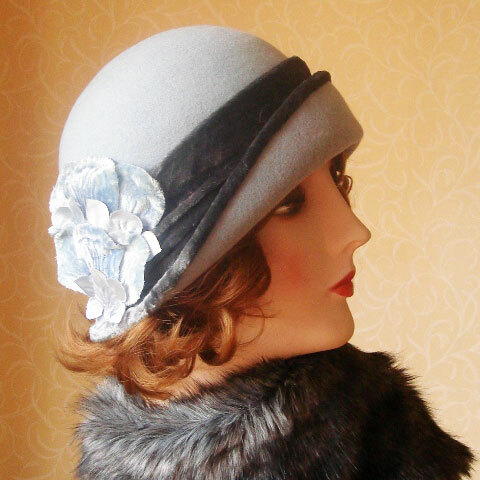 Grey blue felt hat made with love, and one of a kind, just like you!